Choose Costco vacation discounts for great deals on travel, vacation packages, theme park tickets and more. Costco offers a variety of vacation and travel discounts, travel cruises, movie tickets and theme park tickets. These are great Costco deals that you won’t want to miss. Some Costco deals are available only at a Costco California store, while others you can order online from costco.com. Take advantage of these great vacation discounts and make your next California vacation a Costco vacation. The local Southern California Costco stores have a variety of Costco theme park discounts for So Cal theme parks, water parks, ski resorts, and other fun activities. Depending on the season, they typically have many Costco theme park discounts including: Costco SeaWorld San Diego discount tickets, discount tickets to the San Diego Zoo or Safari Park, San Diego water parks discount tickets, Costco Six Flags discount tickets, Costco Universal Studios Tickets, Belmont Park discount tickets and Legoland discount tickets. Costco also offers San Diego restaurant discount cards and discounted Costco movie tickets. You can also find some offers online from Costco. Vacation on a budget! Costco Universal Studios Tickets – There are several tickets offered for Costco members only. For $129.99, you can get an annual pass to Universal Studios Hollywood. Visit any day for your first visit, then return visits limited to 219 days. A gold annual pass is available for $199.99. Additional offers may be available at Costco California stores. Belmont Park San Diego - $27.99 for the combo pass, which is almost 50% savings over the $54.00 price at Belmont Park. This includes unlimited rides, rock climbing wall, flow rider and two rides on the zip line. How fun is that! Legoland 3 day visit -$99.99 for adults and children ages 3-12 or seniors 60+. Visit all 3 parks at a great price - Legoland, Sealife Aquarium, and Legoland water park (open seasonally). These are etickets offered online, but I’ve also seen them at Costco stores. SeaWorld San Diego Discounts - For $119.99 you can get Sea World silver annual pass for all year. Enjoy 12 full months of SeaWorld San Diego. Includes free parking pass and $20 savings on one day guest tickets. Offers vary. 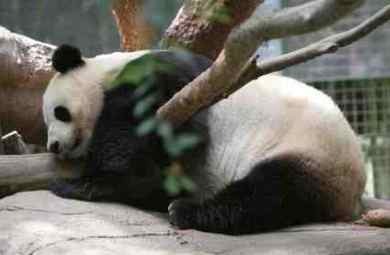 San Diego Zoo or Safari Park- Offers vary. 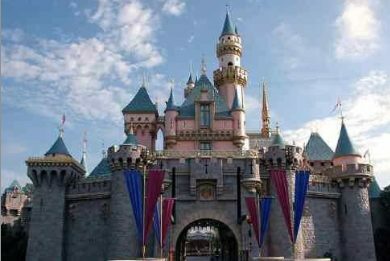 Costco Disneyland Tickets – A few years ago you could buy some great Disneyland discount tickets at Costco , including Select Annual passports. For example, they offered a 4 day pass for Disney for only $199, including a $50 gift card. That is Disneyland for only $38 per day! Wouldn’t we love to see a deal like that again! Does Costco sell Disneyland tickets now? Yes and no. Costco Disneyland Tickets are no longer sold at the Costco California stores, or online. You can however book a Costco vacation on the Costco travel website, which will include Disneyland Discount Tickets at Costco special rates, when purchased with a hotel package. You can also get Costco travel airline tickets. The hotels include Disneyland hotels, and some nearby hotels which are much cheaper. You can order online at Costco Travel. Costco has a travel website, where you can choose from a number of vacations, including vacation packages, cruises, and of course a discount Costco vacation to Disneyland California. Their vacation packages typically include hotel stay, tickets to various attractions, and airline tickets. You can choose Costco Travel for your vacation around the world, including countries in Europe, the Caribbean, and South America. Regal Discount Movie Tickets - Great discount movie ticket. Only $18.99 for two unrestricted tickets, good at Regal, UA and Edwards Movie Theaters. Recently available in Costco stores. 10-Pack Premiere Movie Tickets Regal Entertainment – Available online 10 pack for $89.99. A great Costco deals. You can use for your family, or for gifts. Good for all films and show times at Regal Cinemas, United Artists Theatres and Edwards Theatres. No expiration date. Allow a few days for delivery. 4-Pack Regal Entertainment Premiere Movie Tickets – eTickets available online 4 pack for $35.99 and up. Good for all films and show times at Regal Cinemas, United Artists Theatres and Edwards Theatres. No expiration date. Allow a few days for delivery. Download these Costco movie tickets within 1 hour to your email. 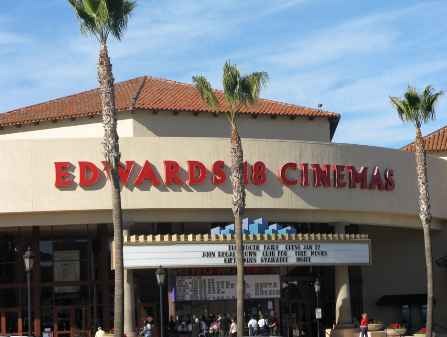 Check out our list of San Diego movie theaters. Enjoy the show! San Diego Restaurant Gift Cards – You can get some great restaurant Costco deals. Typically you pay $79.99 or sometimes only $69.99 and receive $100 of restaurant gift cards, in either $25 or $50 denominations. Some are available in Costco stores, other restaurant Costco deals you can order online from Costco. These make great gifts, and if you regularly visit these restaurants, why not buy some and save? Offers vary, but here are some examples of types of restaurants and coffee shops: P.F. Chang’s, Baja Fresh, Shogun’s, Peet’s Coffee, The Coffee Bean & Tea Leaf, Smashburger, California Pizza Kitchen, and Cold Stone Creamery. There is also a San Diego restaurant gift card that is good at over 100 local restaurants, including Vigiluccis, one of our favorites. If you get hungry when you visit a Costco store, stop by the food court and try a Costco berry smoothie. Yummy! While Costco offers some great vacation deals, they can be difficult to find, and not always available. So if you find a good deal, buy it! Costco stores in southern California have a section where you can choose theme park tickets, movie tickets, restaurant tickets and more, all at great prices. Be sure to read the fine print to check for ages and expiration dates. Costco website has a section on Gift Cards and Tickets. You can browse the current offering. Try to look several times and search in different ways, as the categories don't always work right. Recently I found only 4 items under "California", then found additional items such as Universal Studios Hollywood coupons at Costco that were not under "California". To find the main page, search on the menu on the top left. Costco Travel is a separate website that offers Costco vacation packages, cruises, hotels, airline tickets and more. Some include California vacation packages for Disneyland and San Francisco.